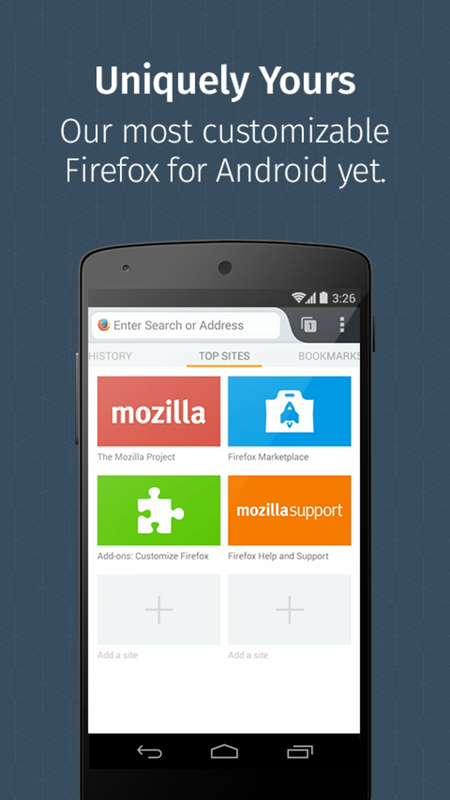 How does Firefox look on a mobile? 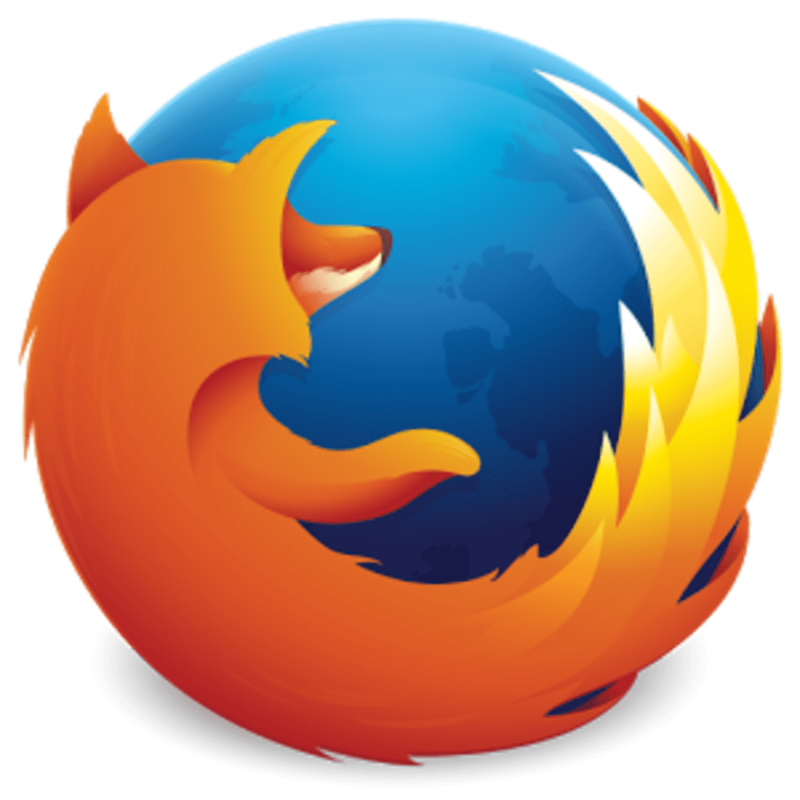 The browser has a resemblance to Firefox for Windows, but it has an interface suited for mobile devices. For instance, pages can be opened simultaneously in the form of tabs, which you access by tapping the number icon next to the address bar. 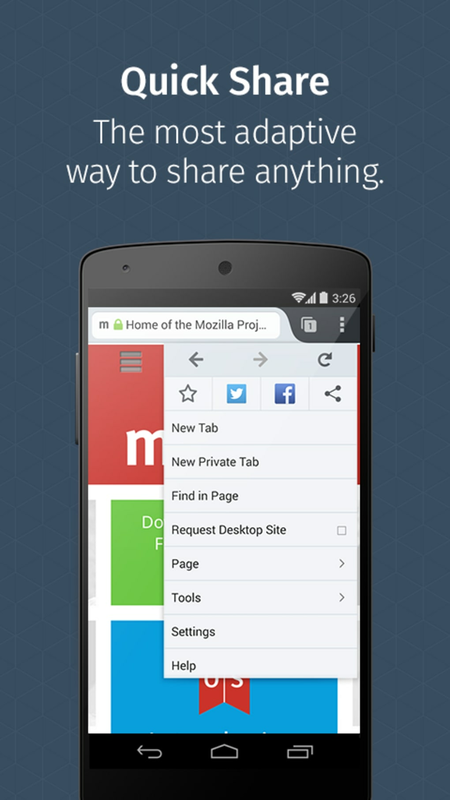 It's an intuitive way to control multiple tabs without filling the screen. 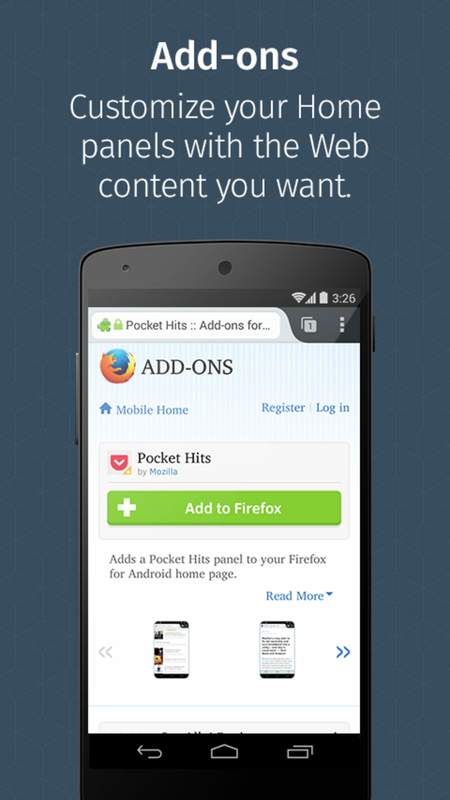 Like the desktop version, Firefox for Android also includes support for extensions, or Add-ons as they're known in this case. 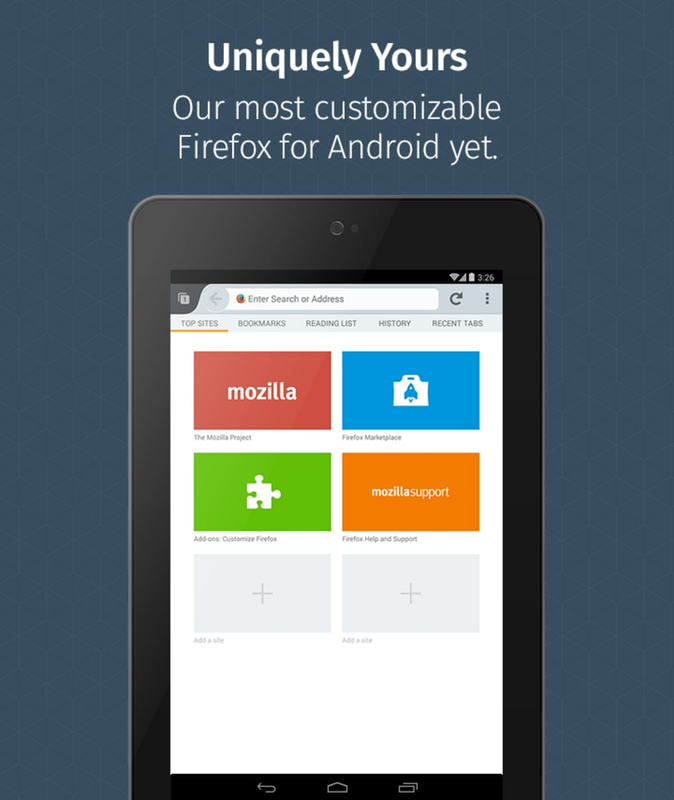 These allow you to power up the Android browser with more functionality. 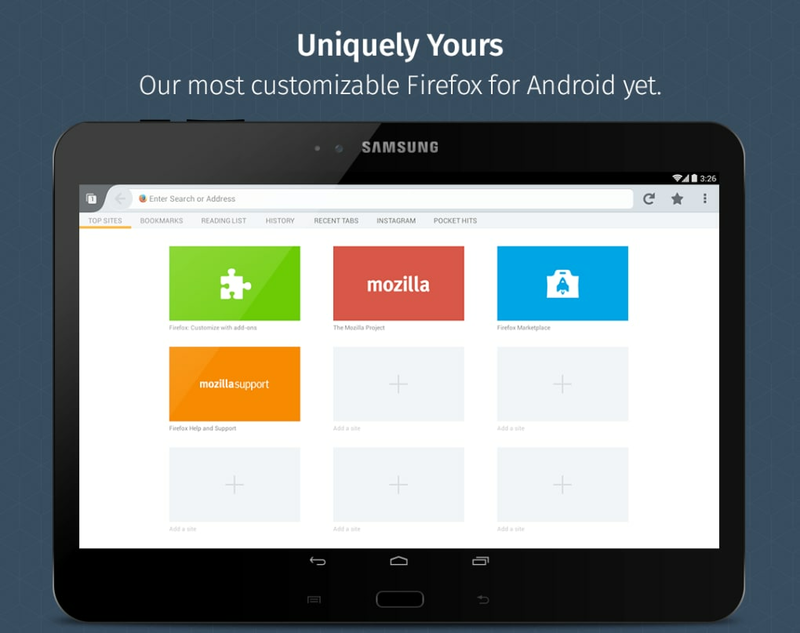 What makes it different from other mobile browsers? The variety of Add-ons is great to customize Firefox. 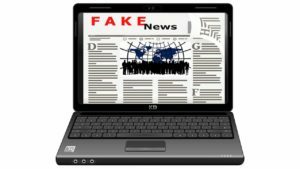 Just like the desktop version, the variety of Add-ons can improve web browsing or add social media functions. 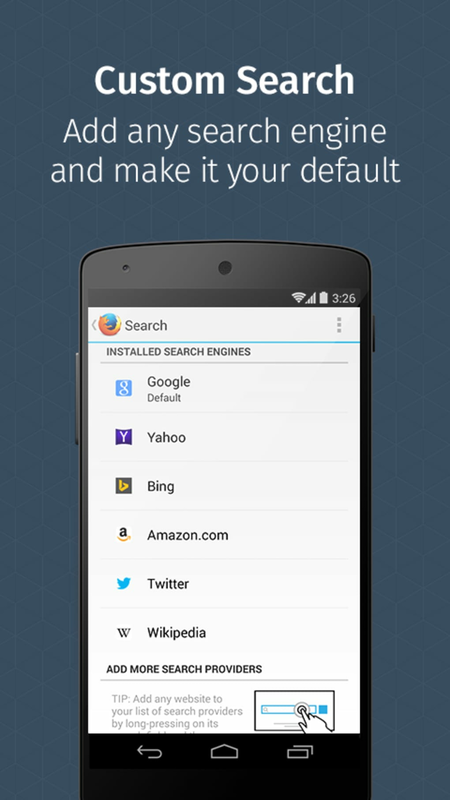 Other useful tools that are pre-built into Firefox for Android include a slick bookmarks manager and a start page that will show the top sites you have visited. 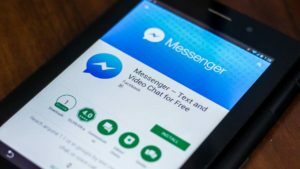 Previously cashed pages can be viewed offline. 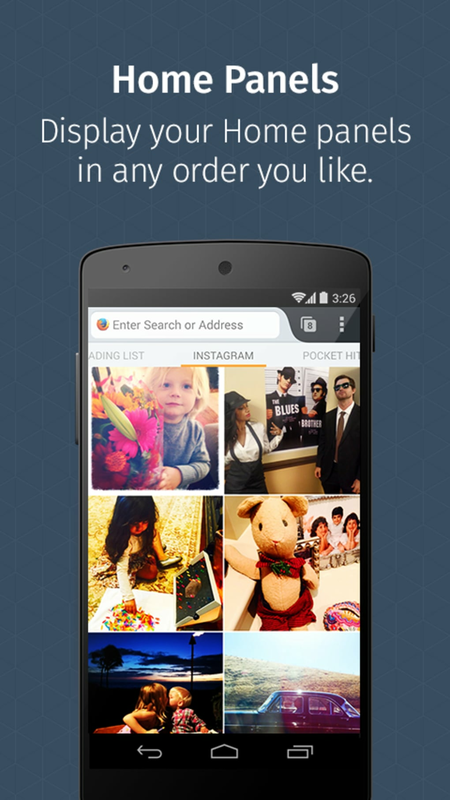 You can pinch to zoom, or double-tap for a quick in/out view, making page navigation effortless. 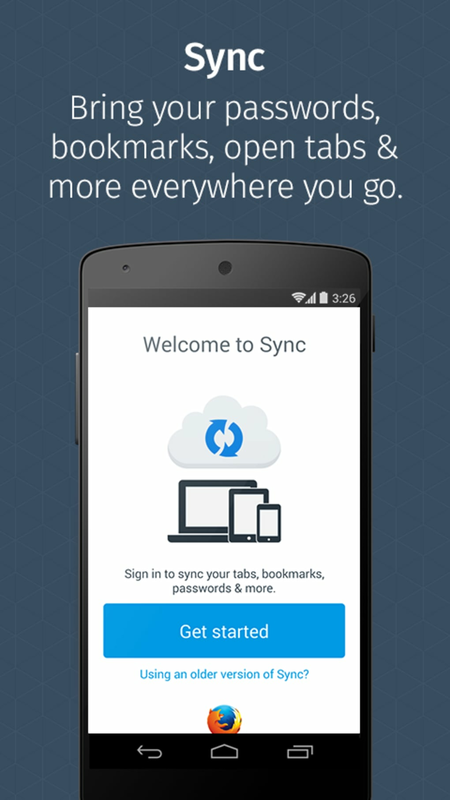 Another neat feature of Firefox for Android is its support for Firefox Sync. 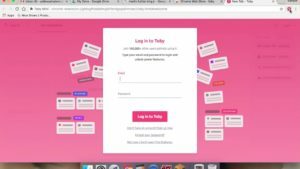 This grants you access to all the bookmarks, history, and running tabs of the desktop version of Firefox, so you don’t have to worry about entering addresses manually. 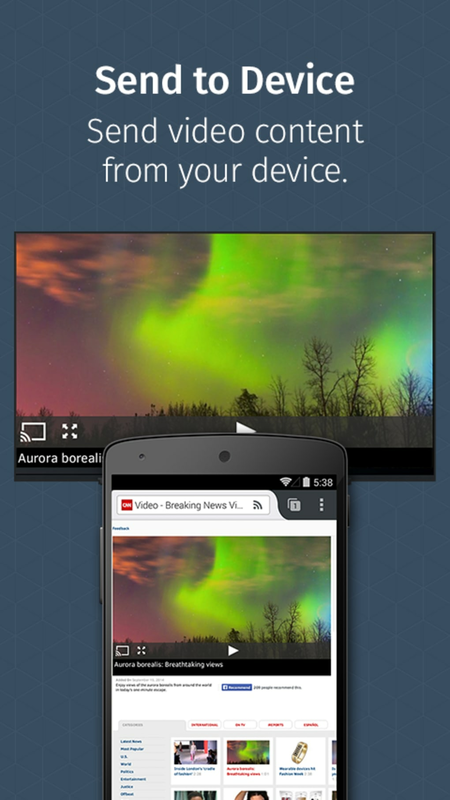 Firefox for Android allows you to send videos to Chromecast and Roku and undo a closed tab. You can also list recently closed tabs, close all tabs at once and there's a quick switch-to-tab option. 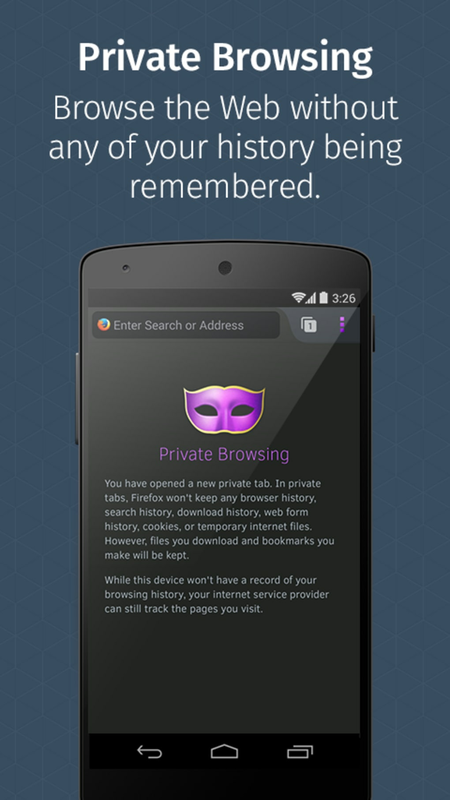 Firefox is a very good Android browser and it makes for a comfortable way to use the web on your phone. 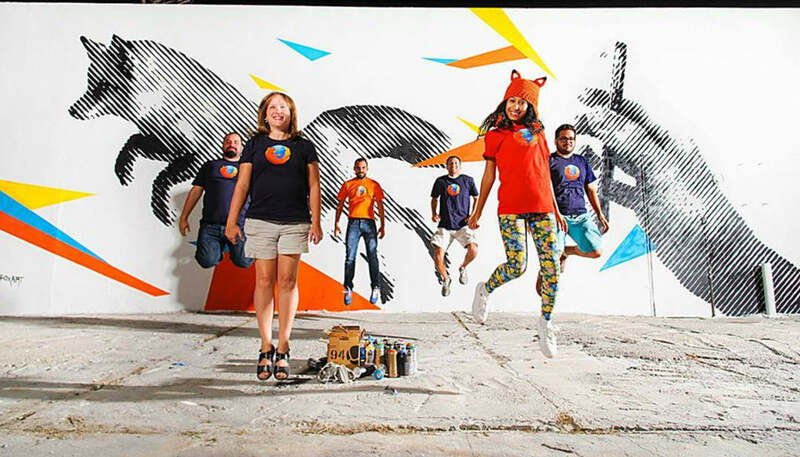 Firefox on Android is designed to provide a smoother web browsing experience on your phone.